After the exhibition around the world, it came the turn of the visitors of Bal Harbour shops to be face-to-face with the famous art piece "Pluto and Proserpina". The 10-foot-tall stainless steel, which will be on display until December, was the star of the evening in celebration of the 50th anniversary of Bal Harbour Shops. 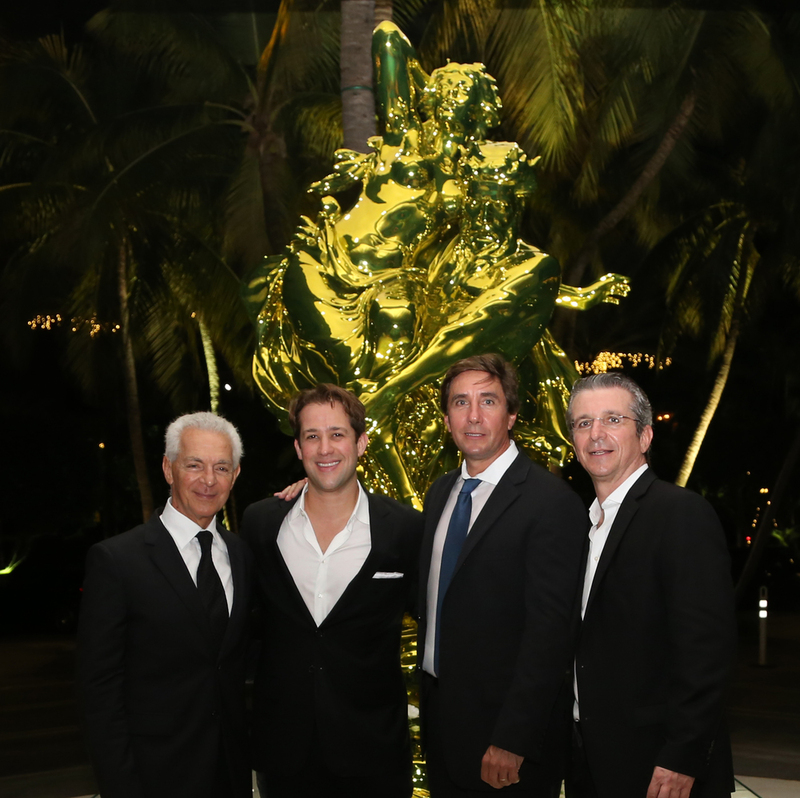 The event had the presence of Eduardo Costantini, Chairman of Consultatio Real Estate, and developer of Oceana Bal Harbour, where the sculptures will be permanently installed upon it’s completion in fall 2016. Constantini bought "Pluto and Proserpina" and "Ballerina," in 2012 for $14 million. "Pluto and Proserpina" is estimated to become one of the most valuable pieces of art created by the American artist Jeff Koons. Oceana Bal Harbour it’s a luxury residential development that will consist of 240 elegantly designed residences, the building was designed by Architectonica and interior common areas designed by world renown interior designer Piero Lissoni and landscape design by world renown designer Enzo Enea. The 28-story, 240-unit residential building is set back from Collins Avenue on 5.53 acres and sits parallel to 400 feet of pristine beach, affording buyers of the one-, two-, three- and four-bedroom and four penthouse residences unparalleled ocean frontage. There is a bespoke collection which have just been released which include larger, customized unites on the highest floors of the building. A week after, the project is making its debut, in an event out of the country for the first time ever, in London, in the United Kingdom. Matias Alem, the CEO of BRG International, a Miami Beach based high-end Real Estate Brokerage Company, is hosting an event to 47 high-profile investors, opinion makers and the media at the Bvlgari hotel in London.